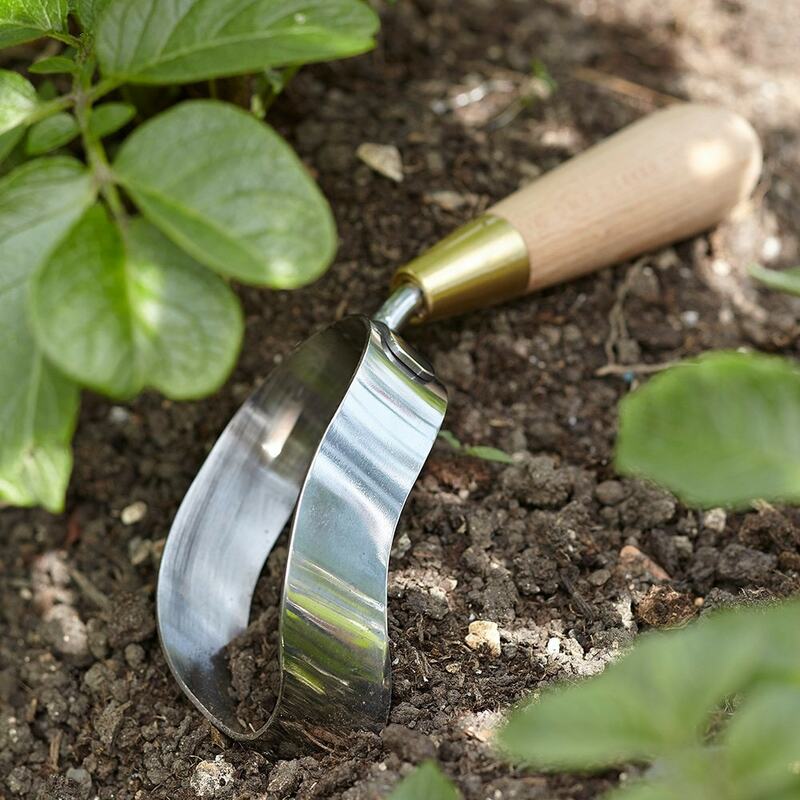 Unique handle and shape makes weeding and cultivating in even the most baked of soils a doddle. The extra-sharp blade on inside edge prevents accidental slicing of surrounding plants. The mirror-polished stainless steel head is rust-resistant, wipes clean and looks great in the shed. A solid brass ferrule connecting head and handle provides strength under pressure, and the waxed beech handle gradually moulds to the hand for even greater comfort over time. Presented in a pastel green Sophie Conran gift box.